英文翻译：Aspiring sincerely to an international peace based on justice and order, the Japanese people forever renounce war as a sovereign right of the nation and the threat or use of force as means of settling international disputes. 英文：The horse raced past the barn fell. 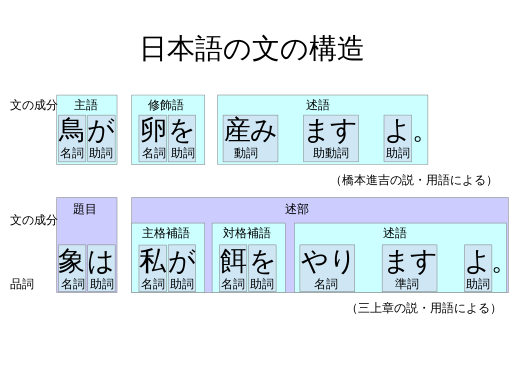 ^ Japanese Language. MIT. [2009-05-13].